The B806 ALU is has the same simple and effective styling as the B806 but comes in an aluminium frame. It also has handy side shields for added protection. Each pair is supplied with a hard case, microfibre cloth and neck cord. 1. Select from the drop down list above if you want Single Vision, Bifocal, Progressive (Varifocal) or Transitions (Photochromic) lenses. Please be aware when ordering Transitions (Photochromic) lens they do not come with the anti-scratch or anti-fogging coating. 2. Order and pay for your glasses online. When you order these glasses you can add additional extras such as tinted lenses. Do this now before you pay for the lenses and just add it to your basket as a separate item. 4. Book an appointment with your local Boots Opticians where they will take an up-to-date eye test if required. If you know your prescription you can take it along but it will be at the discretion of the optician whether or not it is used. 5. Although you have chosen your frame here on the site, you will have an option to change this since you may have changed your mind or prefer the fit of a different model at the opticians. You can see all the available options here. 6. Once you're done then please allow two weeks for your glasses to arrive. Each pair is custom made. 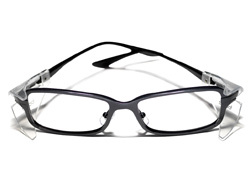 As standard your new glasses will have clear lenses and include a case and cleaning cloth. However, you can include added extras now at extra cost, such as tint or polarisation. Please note that you need to order this now and you will need to verify this at the opticians. Just add it to the basket along with your chosen glasses. The lenses are Optical Quality 1 lenses for all day continuous use and are rated to a safety impact standard of EN166 F. If you're unsure what this means then please see our technical advice section. Roughly speaking, this is the highest strength you can get in safety glasses before moving to some goggles with stronger B rated lenses. Below is a summary of the prescription details for these glasses. To find out more about the sizing visit our technical advice section. Still have a question and want to save 15% more? 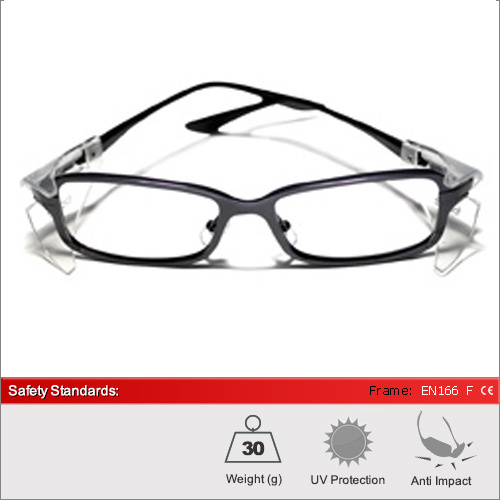 We pride ourselves on giving the best advice in the safetyglasses market. If you’re a member of the general public and there’s something we’ve missed on our site, we’d love to hear from you through our FaceBook page or Google Plus pages. Just drop us a line for the “Test The Technical Director Challenge” and if the info you require is not already on our site, we'll reward you with a 15% discount on orders up to £200.